When you or a close family member suffers a traumatic brain injury, your first priority is to obtain the best medical care. But once the injury is stabilized you’ll need to find the funds to pay for not only initial treatment but also for future treatment, recovery and rehabilitation. Unfortunately, the nature and quality of care, particularly sub-acute and long-term care, may depend upon whether funds are available to pay for it. A qualified lawyer with a combination of certain knowledge and skill should be able to help you find both the best medical care and the money to pay for it. It’s important to understand that health insurance companies often deny or limit coverage for sub-acute and long-term care and the limitations in health insurance policies are often subject to interpretation. However, a qualified lawyer may be able to help you find those additional financial resources needed to pay for necessary care using certain procedures that may be available to contest denials. Further, if someone other than the survivor caused the accident, a liability claim may be made against the person at fault. If the person at fault does not have insurance or the insurance is inadequate, compensation may be available under the “uninsured” or “underinsured” provisions of the victim’s own automobile insurance coverage. In addition, certain medical costs may also be covered under the “medical payments” provisions of the automobile insurance coverage of other people involved. Or, you may be entitled to payment of medical expenses under worker’s compensation (if the accident was work-related) or Medicaid (if financial qualifications are met). These are all possible sources of compensation that your attorney can help you obtain to cover initial costs, but what about future costs? Not to be overlooked, future medical costs and other associated costs like rehabilitation and homecare services are often compensable in cases involving TBIs caused by negligence. “Life care planners” with expertise in TBI will estimate your future costs and your attorney can then help you recover them. Financial hardships caused by lost income during the initial phase of an injury may limit the ability to access necessary medical care, both now and later. And while compensation for lost income may be available through private disability insurance (sometimes an employment related benefit), through worker’s compensation or through social security disability payments, if the accident was caused by another person, the injured may also be entitled to other compensation for lost income. In addition, a person with a TBI caused by the negligence of another may be entitled to recover for lost future earnings, called “loss of earning capacity.” With many brain injuries loss of earning capacity is often subtle; the person may still be able to work, but not with same efficiency. Or, the person may be unable to work full time or may suffer TBI related personality changes that interfere with workplace success. Brain injuries may also increase the risk of future conditions that shorten work life expectancies, which surely will impact the loss of earning capacity. To prove these cases, future lost earnings need to be estimated by vocational experts with expertise in TBI and by economists who estimate the “present value” of these future costs. A qualified lawyer will be able to coordinate and evaluate these estimates and ultimately help the injured recover lost earnings through legal channels. However, experienced trial attorneys can usually estimate the recoveries one might receive based on their experience with juries in similar cases, in similar locations, and by taking into account all of the unique features of the individual case. The experienced trial lawyer will then be able help the jury understand the nature of the injury and the unique personal consequences to the injured in order to assist them in arriving at a meaningful value. 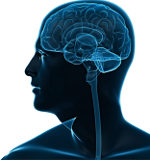 If you or a family member suffers a traumatic brain injury, seek the advice of a qualified lawyer who can help you find the best medical treatment and access all the sources of compensation to pay for it.